Travelogues and musicians have a natural affiliation; for the latter’s art, travelling will always be a prerogative with touring being an essential part of their creative psyche in order to perform and promote their music. 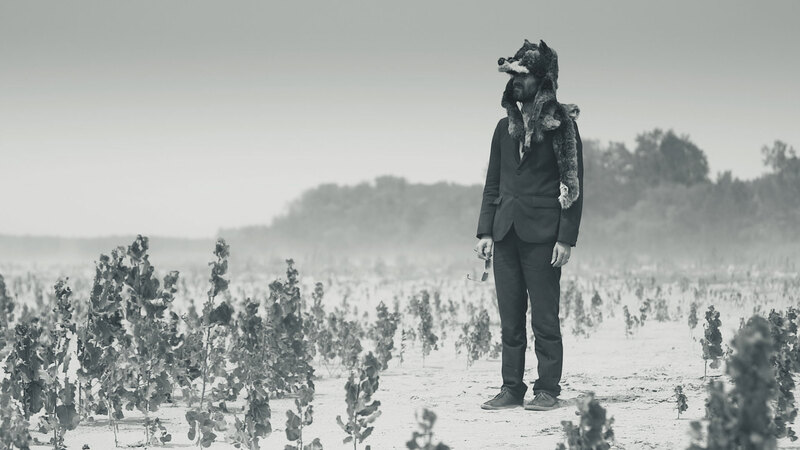 This is not, however, the main link between the subject of Dylan Goch’s American Interior (2014) and its presenter, Gruff Rhys. 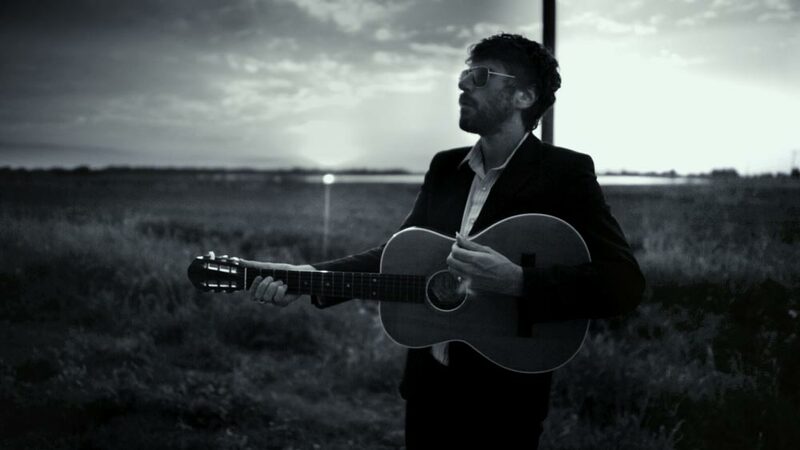 Rhys is the frontman of the Welsh band, Super Furry Animals, but has a surprising number of links that make him the perfect host of a documentary on the travels of little-discussed Welsh explorer and intrepid adventurer, John Evans. Evans is at the centre of the documentary and American Interior tells of his inherent desire to explore America in the late 1700s in search of a somewhat mythological Welsh speaking tribe of native American Indians. Rhys’ connection to the man explains many of the film’s creative choices. Evans’ original journey on the path supposedly taken by an ancient twelfth century Welshman, Prince Madog, is retraced, not in simply a cinematic way but with a multitude of creative interpretations. Rhys has planned a tour that follows the historic path that Evans took, down the Ohio river pass, then up against the flow of the Mississippi and Missouri river. His concerts are shown to be something of an odd sideshow, presenting fans with a history lesson on Evans before breaking into songs based around his travels. The natural showmanship of the singer means that these shows seem to be a far better way to explore Rhys’ history of Evans than perhaps the final product of the film but it still just about manages to capture his sense of passion and genuine awe at the man in question. Rhys is a distant relation of Evans and grew up in the road in Cardiff where the true expert on Evans – historian Gwyn Alf Williams – lived as well. It suggests that American Interior was always going to revolve around Rhys who seems to intuitively recreate the world of Evans and his travels through a basic inner passion. His creative spark has a natural fit with the story, bringing to life the history by intertwining his own creativity with the relaying of the narrative. The sounds effects of his music and his presentation act in the film as a range of leitmotifs; one bleep for travelling up river, another for signifying the next slide in his show. This isn’t by any means a conventional documentary. It breaks down into smaller music videos when larger sections of Evans’ journey have to be condensed: it was, after all, a huge undertaking by the traveller who only went to such lengths because he wanted to find a new land for his oppressed Welsh compatriots. Rhys’ music summarises the journey best as the visuals don’t quite always match up to show the true epic nature of Evans’ original journey. This is partly to do with the use of a puppet to represent him; a necessity born out of the fact that no image of Evans’ actually exists. When the puppet takes centre stage (rather than Rhys simply carrying him around), American Interior somewhat loses its sense of proportion and ventures too far into the realm of faux kookiness. Its presenter is so naturally balmy and talented that the emphasis really isn’t necessary. It is when the film concentrates on Rhys’ conversations with the people he meets on his own journey that American Interior is at its strongest. Indeed, the film begins to tell more about Rhys himself than Evans though the parallels between the two are enough to forgive this, especially as he is such a charismatic and warm screen presence. The film’s natural investigation of anthropology and the evolution (and extinction) of languages is also an interesting facet, especially because Evans’ journey does turn out to be based on myth and sadly a tale that ends as more of a tragic farce than a happy triumph. Yet, like so many travelogues, the ending is not the true crux and both Evans’ and Rhys’ journeys up and down the rivers are shown to represent more than failure. The fact that Rhys has given Evans attention (symbolised by a shrine and ritual with the doll at the end of the film) shows that the journey alone was worth it. Evans’ adventure pioneered the mapping of the rivers, allowing later explorers to fully map the way and allow for the Spanish territory to be fully internalised. By highlighting his life, Rhys has shown a passion for his compatriots that is pure and unblemished by greed and gain; used in the purest essence to create a warm, colourful and passionate piece of documentary film. American Interior is released in cinemas on the 15th of September.